Effects of temperature and photoperiod on the reproductive activity of a reef associated tropical damselfish Chrysiptera cyanea were evaluated under three phases with different environmental patterns, phase I (April–May; increasing water temperature and photoperiod), phase II (June–July; increasing water temperature and peak/decreasing photoperiod), and phase III (August–September; peak/decreasing water temperature and decreasing photoperiod). When the fish were reared at 20, 25, or 30°C under natural photoperiod, the reproductive conditions differed within and among the phases depending on experimental temperature and environmental patterns. From phases I through III, ovaries with vitellogenic oocytes were notable only at 25°C, whereas regressing and immature oocytes were noticed at 20 and 30°C. The fish underwent active spawning at 25°C, whereas no or few spawnings were observed at other temperatures. In phase III, there was a resultant prevention of decrease in the gonadosomatic index and disappearance of vitellogenic oocytes in the ovaries of fish under a long photoperiod (LD14:10) compared to those under a short photoperiod (LD10:14). These results indicate that a long photoperiod with a suitable range of water temperature is a principal determinant in continuity of reproductive activity and performance, and that a high temperature has a negative impact on their ovarian development. 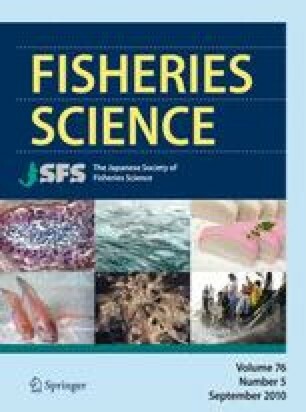 This study was supported in part by a Grant-in-Aid for Scientific Research from the Japan Society for the Promotion of Science (JSPS) to AT and by the 21st Century COE program of the University of the Ryukyus “The Comprehensive Analyses on Biodiversity in Coral Reef and Island Ecosystems in Asian and Pacific Regions” from the Ministry of Education, Culture, Sports, Science and Technology, Japan. This was a contribution of Sesoko Station, Tropical Biosphere Research Center, University of the Ryukyus.